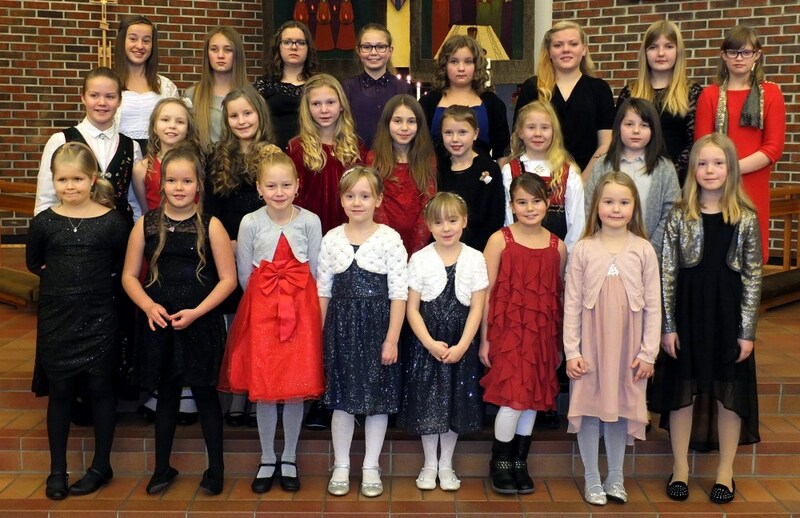 This was our childrem and youth choirs (a little low on numbers) at one of the Christmas Eve services in Finnsnes Church yesterday. We seem to be bucking the national trend, with increasing numbers attending. 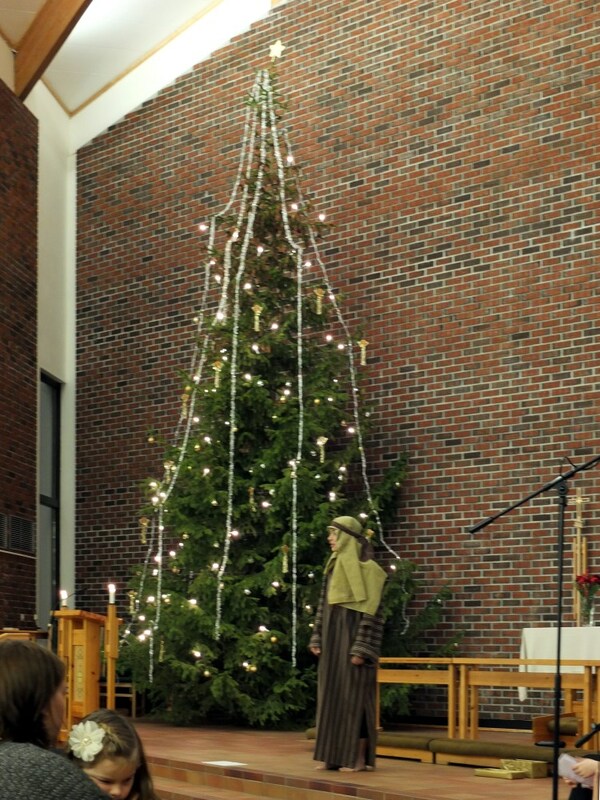 The first half of the sermon was delivered by one of the Bethlehem ‘census’ workers, pictured here in front of the biggest Christmas tree I’ve ever seen in a church (a gift from a church member who wanted it removing from his garden – we’re still trying to figure out how they got the star on the top!). 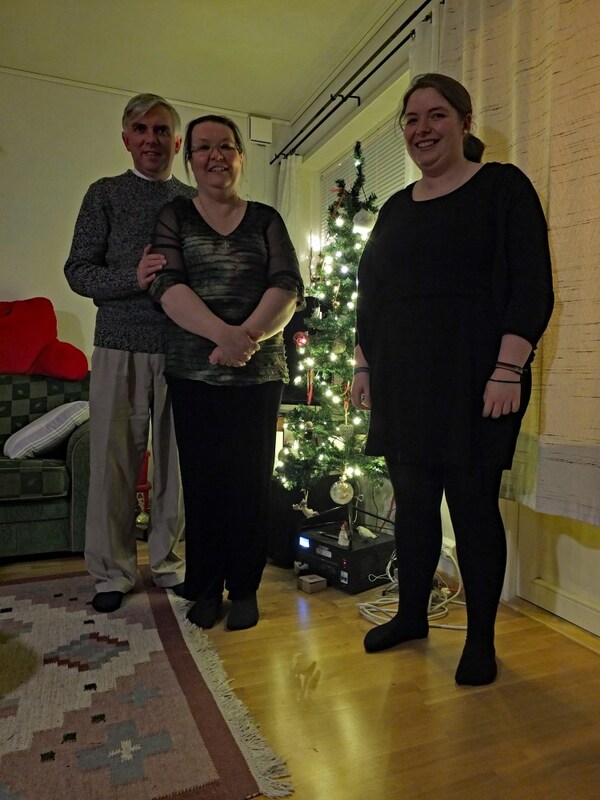 This was Christmas morning, 9am – the darkest Christmas we’ve experienced so far. 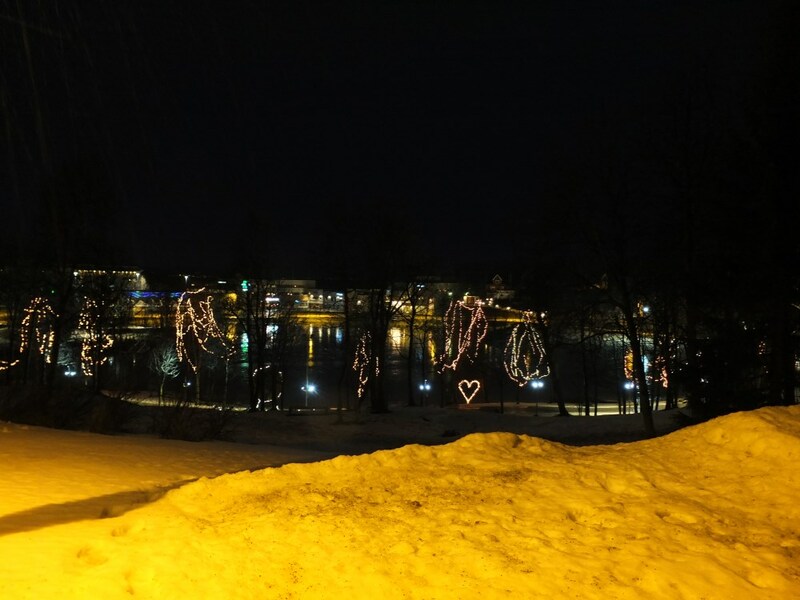 It’s also supposed to be one of the warmest on record, with the comensurate lack of snow. Still at least it’s started to snow this evening, so just the outside chance of skiing tomorrow . . .
At home this evening after a wonderful afternoon and English Christmas dinner with freinds, all the better because we didn’t need to cook. You seem to be bucking the national trend with increasing numbers attending. Oh well, you’ll have to work a little harder then, but at least you won’t be having as many in attendance – so you won’t need as many services. Mind you, I wasn’t aware of this trend. Here in Lødingen, we’re also bucking it, so you’re in good company. 😉 P.S. I’ve noticed a certain trend to forget commas (like one that could follow “trend”, for example). THanks for the grammar tip. Corrected.